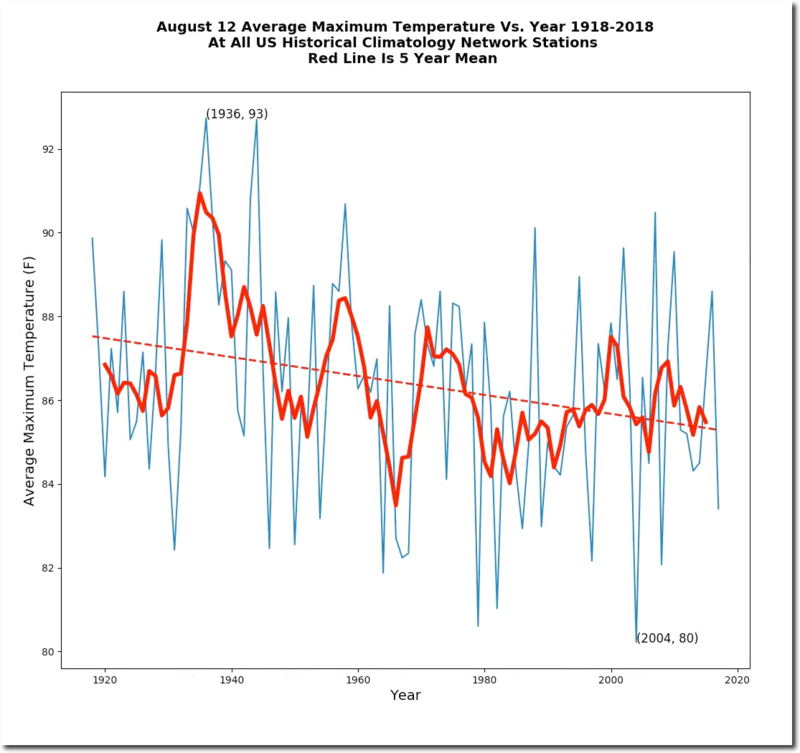 By olduvai in Environment, Liberty on August 14, 2018 . 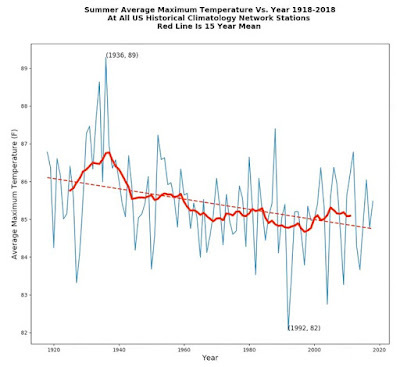 The figure above, showing a cooling trend in the United States, was posted by Steven Goddard (aka Tony Heller) on his blog with the remarkable title of “The Deplorable Climate Science Blog” (actually there is a slightly different one on the blog, right now, but it is simply a difference in the smoothing procedure). The graph is having a certain diffusion in the social media. An earlier version was even picked up by James Delingpole in his Breitbart news site. It quickly became a growing meme, scoffed or cheered depending on the attitude of the people commenting on it. As usual, the debate on climate on the social media is little more than a shouting match. 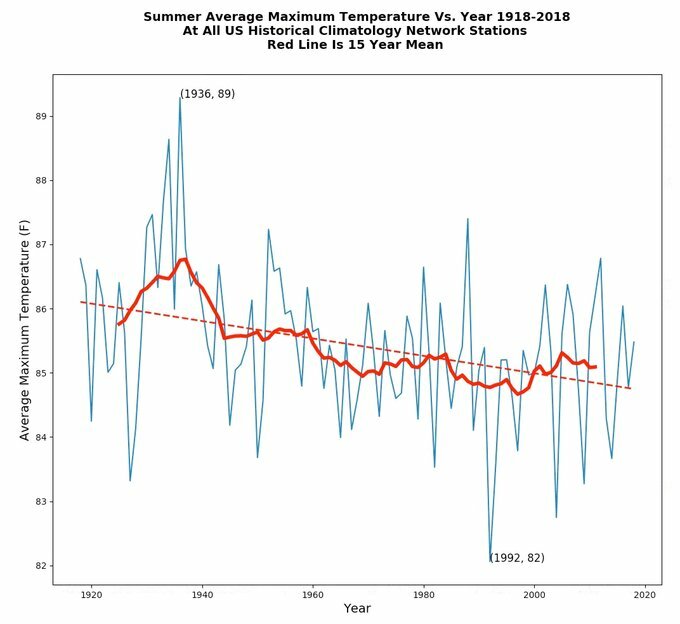 It took some work by an expert, Tamino, on his “Open Mind” blog to dissect the story of this graph and show the tricks behind it. Tamino’s whole post is reproduced below.